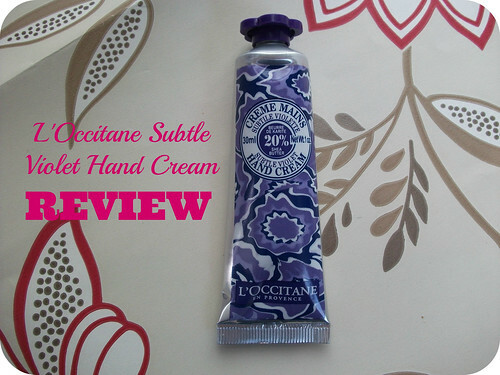 I recently picked up a 30ml tube of L'Occitane's Subtle Violet Hand Cream with a copy of Marie Claire, and just wanted to share my thoughts; it's a Limited Edition scent, so if you like the sound of it, I wouldn't hang around too long waiting to pick one up! 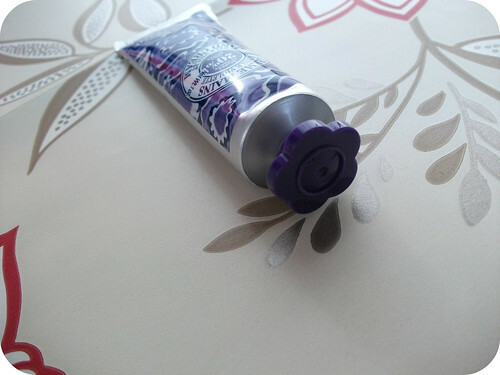 I love the packaging, which is the standard silver tube with a screw cap, but with a beautiful purple design and a cute purple, flower-shaped lid, which make the whole thing feel a little bit special. According to L'Occitane, "This hand cream, highly concentrated with shea butter, helps to nourish, protect and soften the skin, and enhances it with a sweet and comforting violet fragrance." The hand cream itself is white in colour and easily absorbs into the skin, with the 20% shea butter leaving it softened and nourished as L'Occitane claim, with only the tiniest amount needed each time. The scent is extremely subtle, smelling ever so slightly of parma violet sweets - not at all unpleasant, but it's barely noticeable; I personally would have liked it to have a marginally stronger scent, but I understand that this will suit some people perfectly. 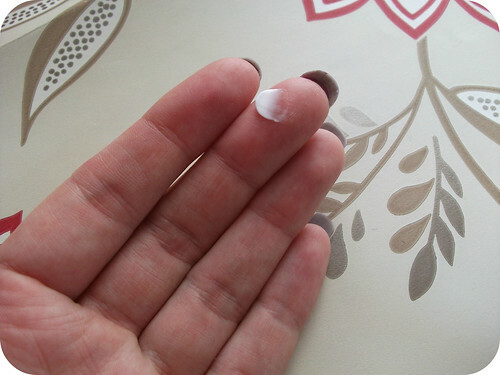 The ingredients are pretty good in my book, with no parabens, petroleum or mineral oil to irritate my eczema, but plenty of lovely natural moisturising ingredients and oils. L'Occitane Subtle Violet Hand Cream is available to order from their website priced at £8 for 30ml, or you might still be able to find one with Marie Claire magazine (Novemeber issue, with Drew Barrymore on the cover) if you're lucky! Did you pick up any of the L'Occitane Hand Creams with Marie Claire? 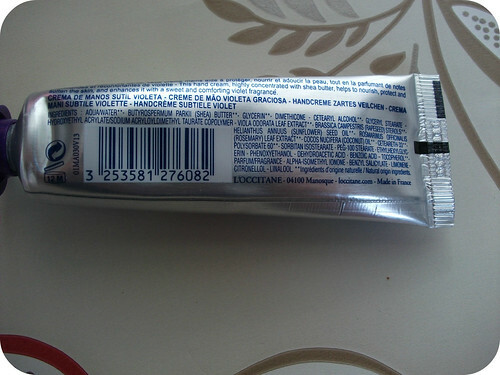 What's your favourite hand cream? I'm beginning to wish I had picked one of these up, I doubt I'll find one now. The hunt begins! I got this one too. I don't think it spreads particularly well when you are rubbing it in. Don't know what you think?